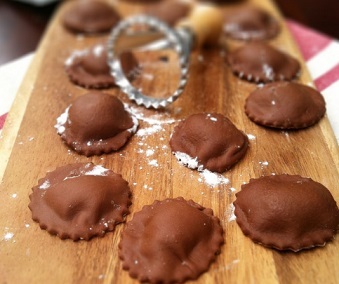 March 20 is the day of the famous and delicious Italian dish, the ravioli. Ravioli is a dish made from two layers of pasta dough filled with different mixtures of meat, fish, seafood, egg yolks, cheese, potatoes, mushrooms, spinach, pumpkin, chestnuts, artichokes and more. 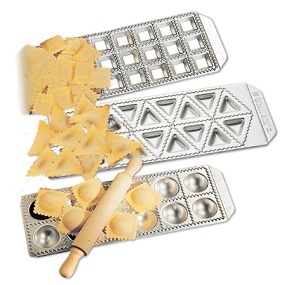 The word ravioli is reminiscent of the word riavvolgere in Italian (meaning "wrap"); The word may also be related to the Italian word rava (turnips). 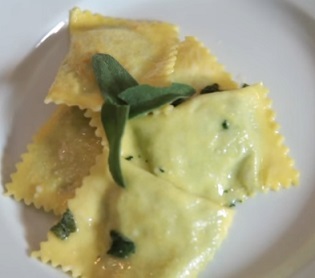 The shape of the ravioli can be rectangular, triangular, crescent or round. The sauce that is usually served with the ravioli is tomato sauce. Fine fillings require more delicate sauces such as sauces based on butter and sage leaves or pesto. At the US Veterans' Dinner on 11 November, Ravioli serves as a main course.